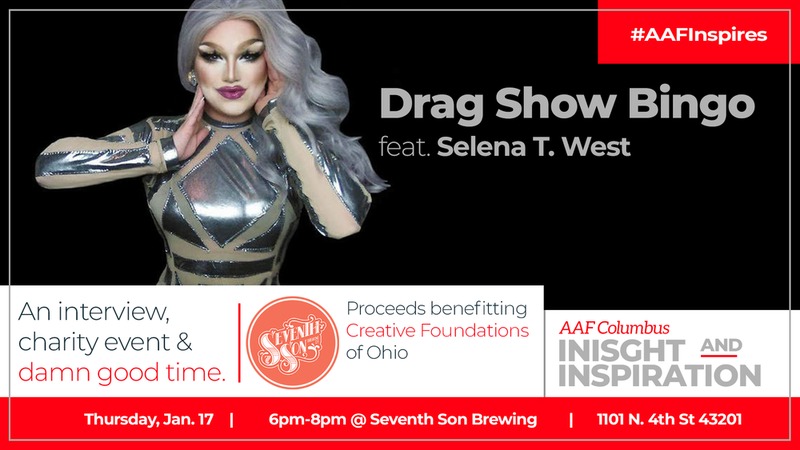 Drag Show Bingo Featuring Selena T. West, benefiting Creative Foundations. Creative Foundations is an Ohio-focused organization that supports people with developmental disabilities, providing independent living assistance and employment opportunities. The evening will include a brief interview with our host, Selena T. West, about creating a personal brand, to be followed by several rounds of bingo, led by Selena. This promises to be one of our most anticipated events! Make sure you save the date!